Click to see larger. Photos courtesy Steve Hymon. 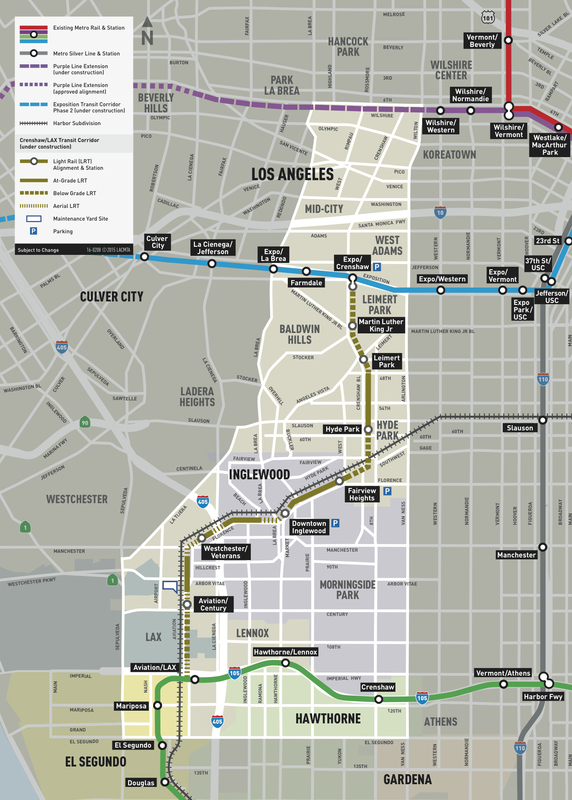 This is almost the entire line from just north of Leimert Park Station at the bottom of the screen to the junction with the Green Line at the top right. 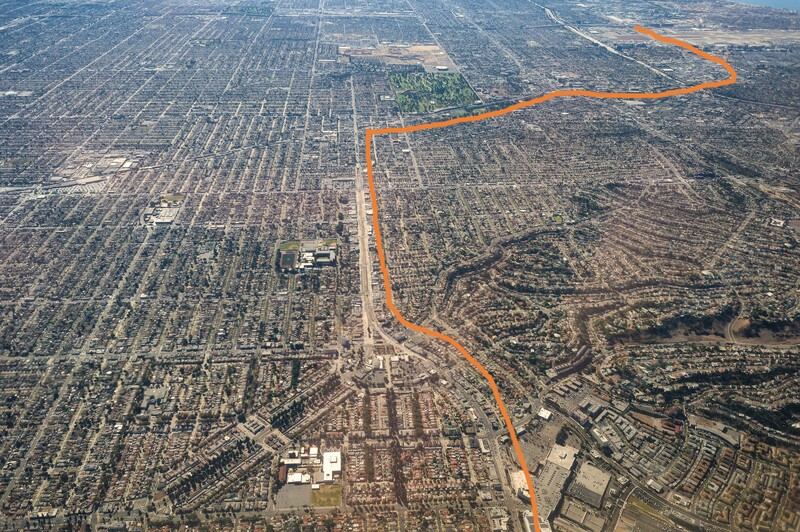 I drew a line in Photoshop to help follow the rail line — the orange line is to the right or bottom of the Crenshaw/LAX Line route. It was a good day for airplane photography. A few other pics, some transpo-related and some not. 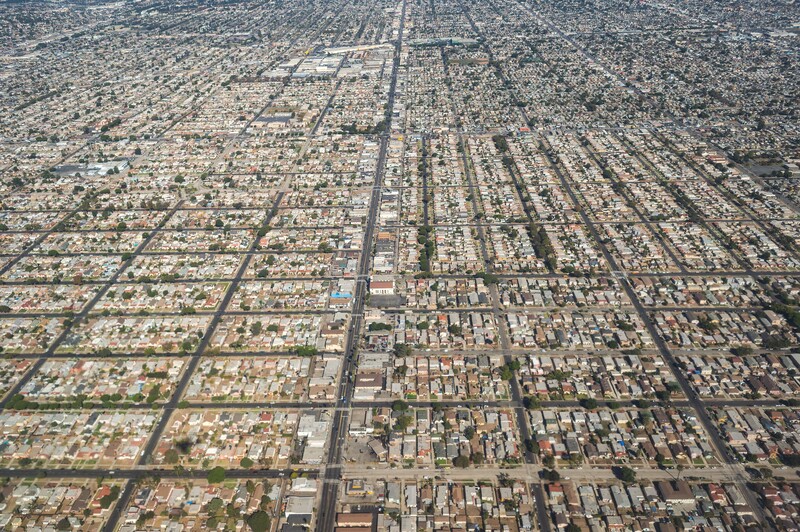 That’s the stretch of Western Avenue (left of center) south of Slauson. 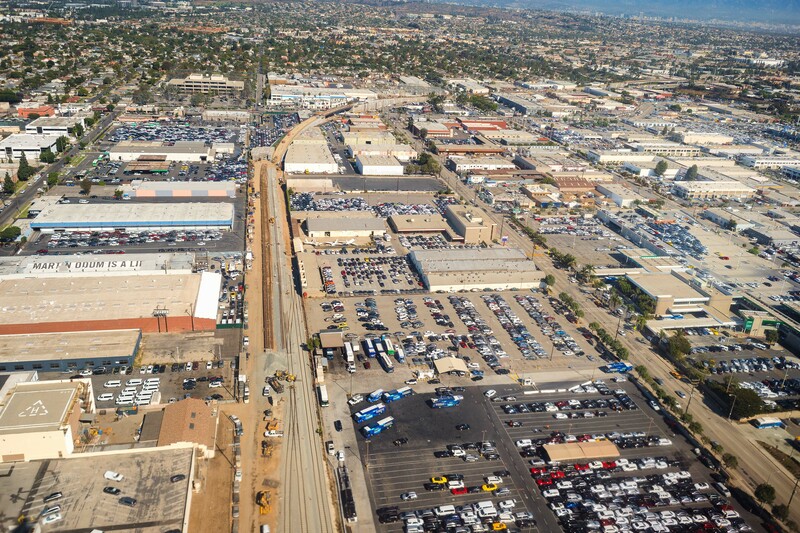 That’s the Blue Line at right and the northern end of the Alameda Corridor to the right of that. 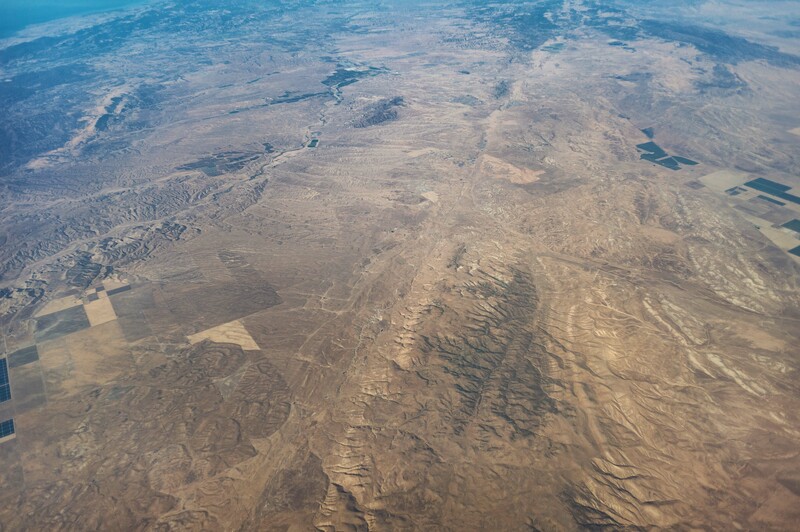 And, finally, a stretch of the San Andreas Fault north of the Carrizo Plain — basically east of San Luis Obispo and Paso Robles. The fault runs from top to bottom down the center of the photo. Thanks Gerald! 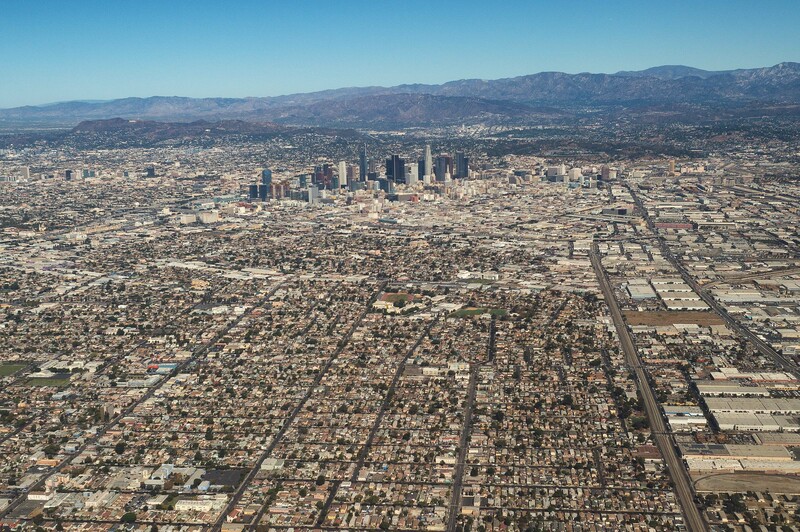 Exactly–we have a drone to use for construction pics but for Crenshaw can only use on the northern part of the line due to air space restrictions. Thank goodness Southwest has: 1) open seating so I could snag a window seat, and; 2) clean windows on their planes! Cheap fares also help, although I was traveling for fun not business. It’s a trip how clear those photos are considering it’s out the window of a plane. Nicely done!